The Buena Vista Museum of Natural History and Science museums has an upcoming bi-annual Paleo Dig this spring. Each month, the museum provides discount days to the public and brings awareness about the history of Bakersfield. The museum hosted a two-dollar entrance fee on March 21 which is offered once a month. This is usually one of the busiest days at the museum. 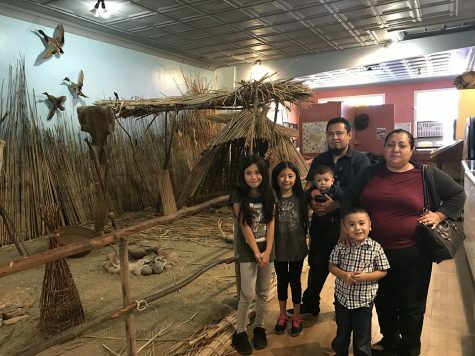 One of the families who attended observed the artifacts on the second floor of the museum. Isaac Ladino, the father of the family, said that his kids love visiting museums. “This is our first time at this museum. We came from LA to visit some friends, and we stopped by the museum for the kids,” Ladino said. The kids said their favorite part of the museum was looking at the minerals. At the museum, a visitor can observe a display of wild animals such as elephants, lions, and zebras that are well-preserved in taxidermy. It is one of the few museums that does not have a glass barrier between the animals and visitors. There is also a section for dinosaur fossils, shark fossils, and rock minerals. The sub-floor has the most diverse section to offer with paleontology, biology, archeology, and anthropology. 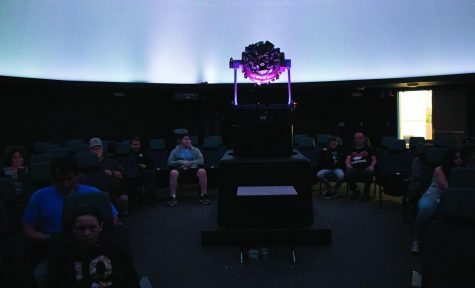 The museum also hosts school field trips and educational presentations. They have a geologist come once a month to do presentations on fossils or shark tooth findings. 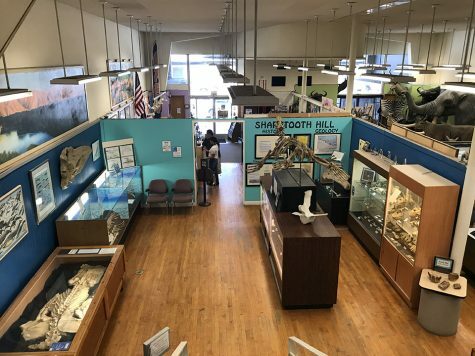 Administrative assistant Jessica Herrold is one of the three hired employees at the museum and states the importance of having this museum in town. “The museum shows a lot of the history of Bakersfield. 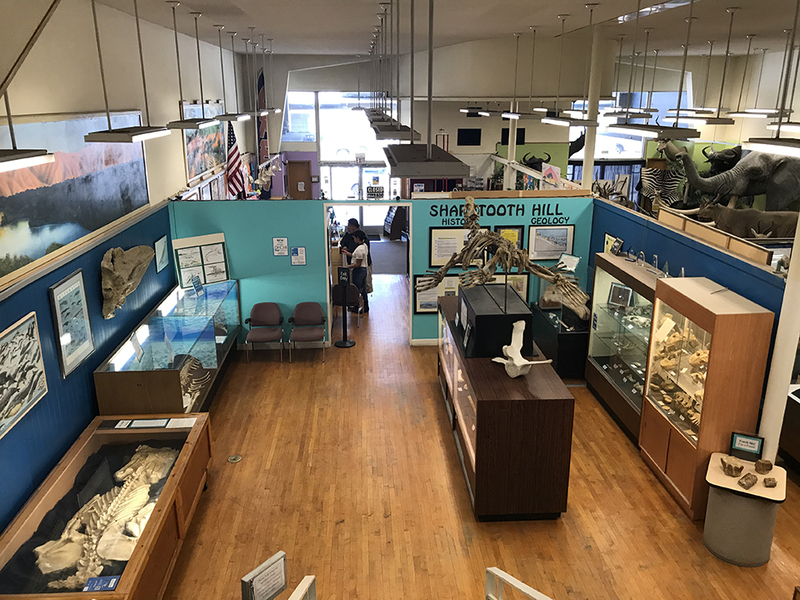 Many of our fossils and shark teeth we display are from Shark Tooth Hill which is over by Calm Zoo. We take a group of people to go shark tooth digging at the site twice a year, the first one this year is coming up from April 11 to April 14. Anything they find they can keep unless it’s of great significance,” Herrold said. The museum offers events to continue bringing in more visitors each time. 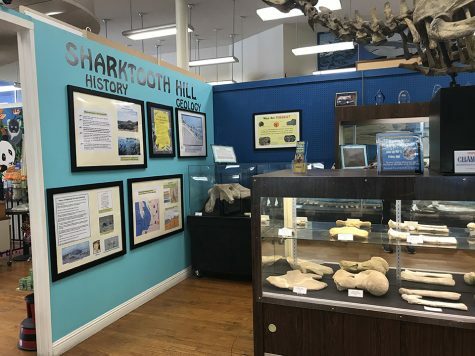 They also offer a membership that comes with many benefits including going on the Paleo Dig at Shark Tooth Hill. “We are a non-profit organization so we run solely on donations and our volunteers’ time. We only have three paid employees so we are very thankful for our volunteers and any donations,” Herrold said. The Buena Vista Museum first floor view from the second floor. 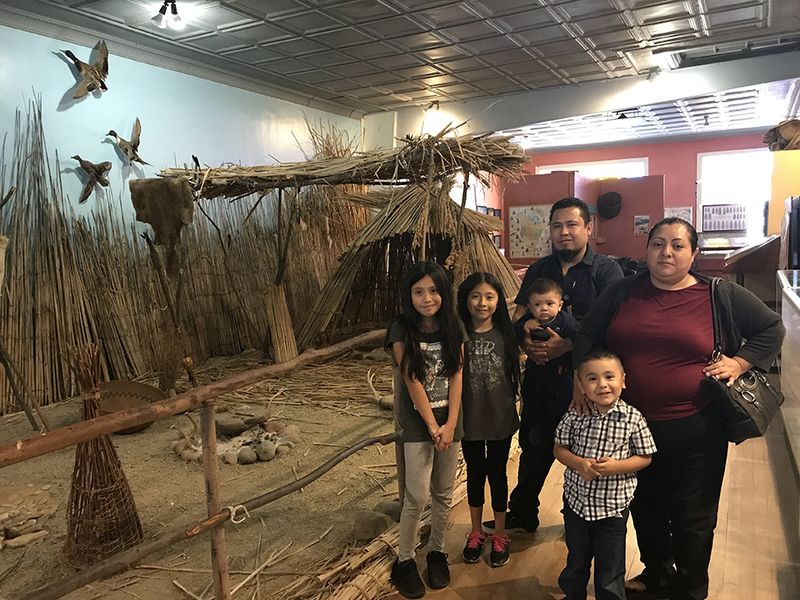 The Ladino family visits the Buena Vista Museum for the first time and stands next to the Native American Lifeways exhibit. 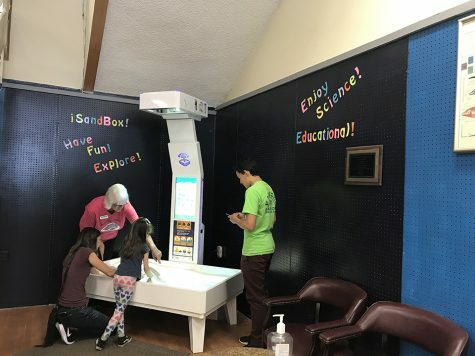 A mother and her child explore the interactive Educational Sand Box that teaches about what can live inside sand, while the volunteer director and volunteer observe and help. 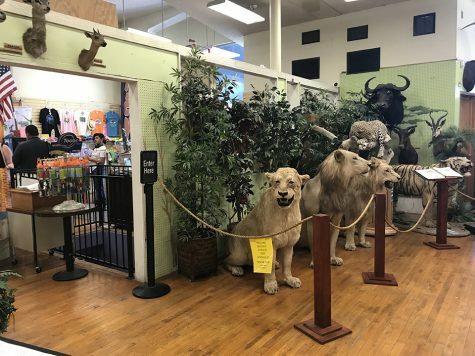 Near the entrance of the museum, there is a display of well-preserved taxidermy animals such as lions, leopards, and deer, and bulls. It is one of the few museums that don’t set a glass barrier between the animals and the visitors. The Sharktooth Hill section of the museum displays information about Bakersfield’s site in which museum members can participate in going shark tooth digging. 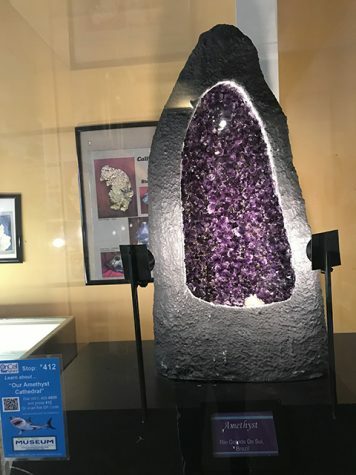 One of the largest minerals on display at the museum is the Amethyst mineral on the second floor of the museum, which includes the QR code available to scan and hear audio of more information about the mineral.